Description of proposal Erection of an automatic number plate recognition (ANPR) camera and pole. An 870 signature petition and 199 formal objections raised against this application. The impact it WILL have, if this is allowed, on the local community square, its businesses and residents will be a devastating blow to this growing community. Please attend if you can to show your community support against this proposal. 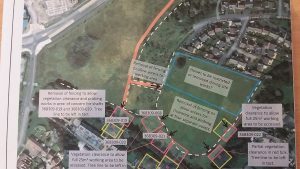 We have been informed by Telford & Wrekin Planning Office that the Developers have withdrawn their Reserved Matters application for the engineering work on Phase 11 (TWC/2018/0077). 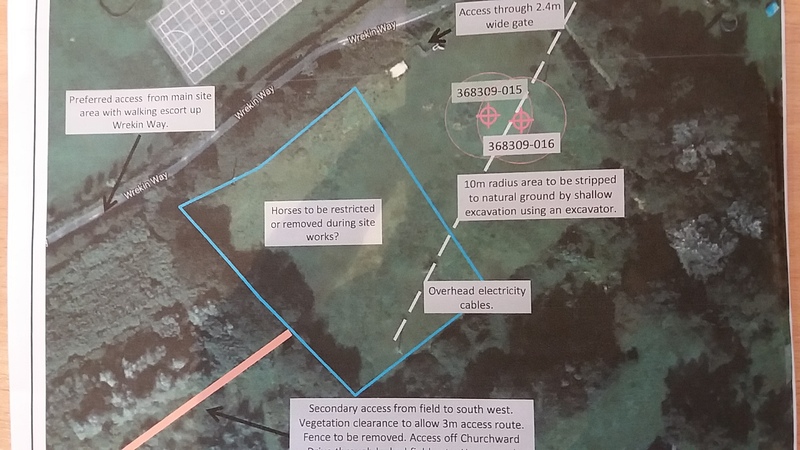 There were numerous objections to the proposed works from residents, the Parish Council, TWC technical officers and the Coal Authority, mainly due to a perceived lack of information in the application about the impact on drainage and the mine shafts on site. The Developers have been asked to provide more detailed information and to submit a Full Planning Application for further consideration. 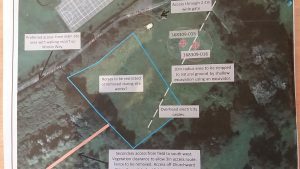 They have also been informed that all work being carried out on Phase 11 should stop and that no more waste material from other sites should be spread on the site. 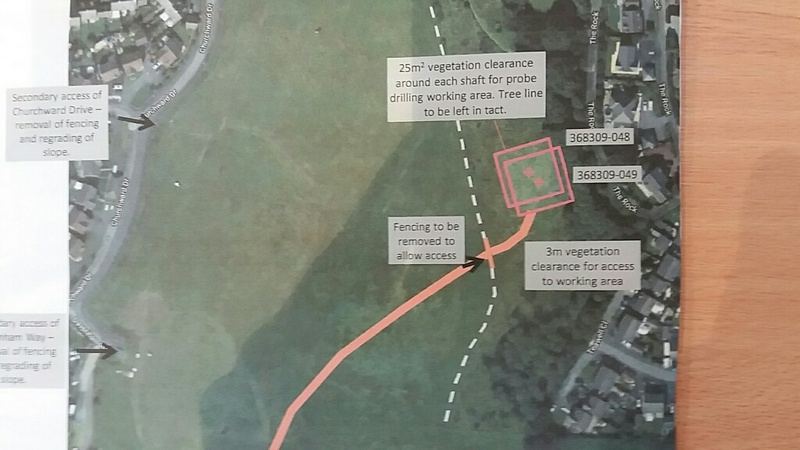 The Developers have informed us that they will be carrying out initial drilling work and some clearance of vegetation on all 3 sites from Monday 22nd January. 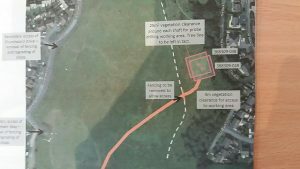 The main reason for the work is to confirm the position of historical mine shafts so that the final housing layout can be agreed before building work starts later this year. 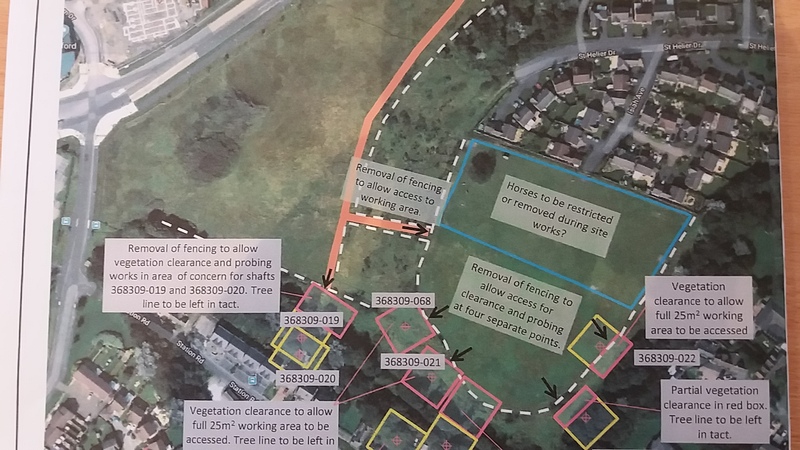 In order to gain access to Phase 5 the excavators will be using the Wrekin Way Path at the top of Newdale Pool. Access for pedestrians on Wrekin Way will be maintained but when the heavy machinery is being moved pedestrians will have be escorted to ensure their safety. The maps below indicate the areas affected. The work is scheduled to last for 4 weeks but the timescale may vary dependant on the drilling results.